Bathrooms are one of the most popular rooms to remodel in a home. No wonder, given the daily use they undertake. Whether your project is an update of the existing room, or a heavier overhaul designed to create a spa-like escape, ProSource® of Erie makes it easy by offering a one-stop-shop for all the remodeling products you need. Find faucets, sinks, tubs, showers, toilets and more, and stay on budget with our low, wholesale prices. Add in our personalized service from your dedicated account manager, and your have a formula for project success. 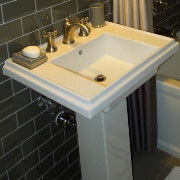 Not every bathroom is created equal – from size to design – so an assortment of sink options is a necessity. Choose the style that best fits the room and design, from vessel to undermount and more, in a variety of colors and sizes. Faucets are the best way to accent the bathroom sink. 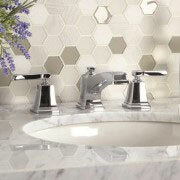 Start with the finish, including bronze, chrome or brushed nickel, then choose the style and configuration you prefer. It’s all available at our showroom. From washing away grime to escaping the worries of the day, showers serve more than of purpose. But whatever the need, there’s a perfect choice to found. ProSource can guide you to the perfect shower base, door, handles and shower head. 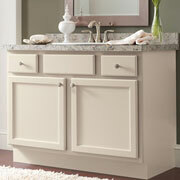 To optimize storage space in the bathroom, a new vanity is a must to consider. Whether a single or double design, in traditional looks to more contemporary designs, today’s vanities offer a place to prepare and a passage to declutter. If the current bathtub looks like it has been through the ringer, perhaps a replacement is in order. 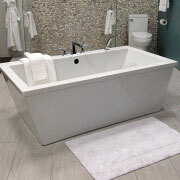 Whether a traditional claw foot tub is in order or a modern jet stream inset is preferred, there are options for you to soak up for your bathroom remodel. 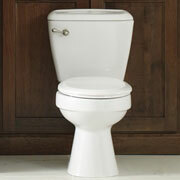 Toilets are functional, but their appearance also complements any bathroom remodel. Consider the numerous options from which to choose, including eco-friendly models for water conservation.